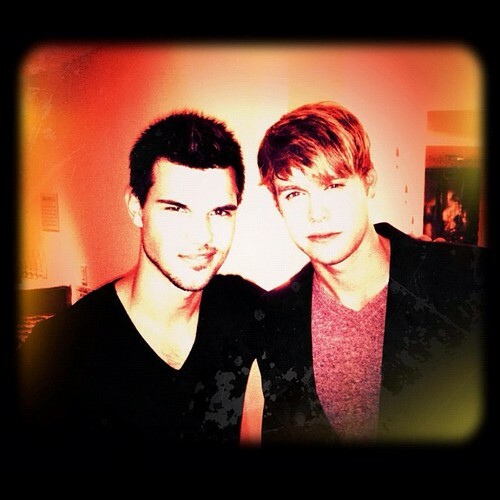 Taylor with Chord Overstreet at the “Night Before Party”. . Wallpaper and background images in the Taylor Lautner club tagged: taylor lautner chord overstreet night before party.